A team of theoretical and experimental physicists lead by the Max Planck Institute for Nuclear Physics (MPIK) has developed and realized a method to “sharpen” spectrally broad X-ray pulses by purely mechanical means. 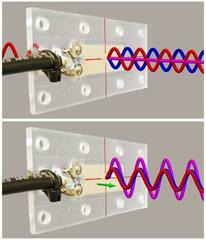 It is based on fast motions, precisely synchronized with the pulses, of a target interacting with the X-ray light. Thereby, photons are redistributed within the X-ray pulse to the desired spectral region, as the scientists demonstrated at DESYs X-ray source PETRA III and the European Synchrotron Radiation Facility ESRF. The researchers present their work in the journal “Science”. The experiments were conducted at ESRF and at DESY&apos;s measuring station P01 at the X-ray source PETRA III. The method is based on the Mössbauer effect; therefore, the iron foil is enriched with the isotope 57Fe. In the solid state, this “Mössbauer isotope” may absorb and emit photons without recoil. 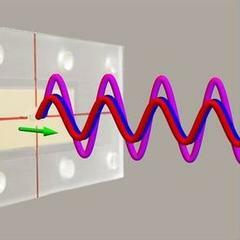 Thus, the iron foil absorbs an extremely small section of the relatively broad X-ray pulse and “resonantly” emits this light after a certain time delay. Within this short time span, the piezoelectric transducer moves the iron foil such that the resonant wavelengths are enhanced at the expenses of the “outer” wavelengths due to interference effects. 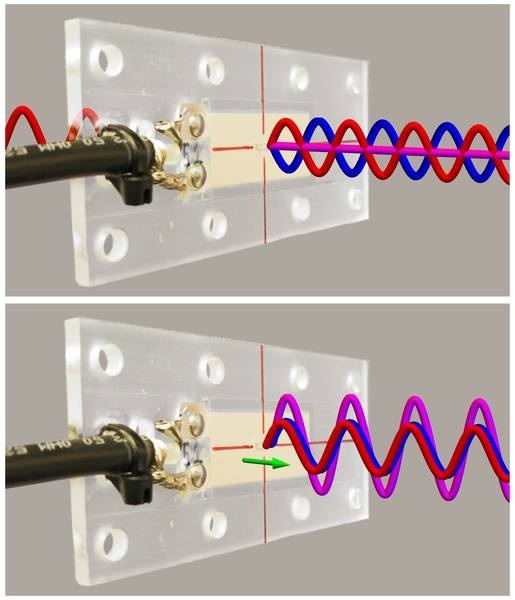 “This displacement by half the resonant wavelength must be controlled to less than a tenth of a nanometer and take place within a few nanoseconds”, explains first author Kilian Heeg from the group of Jörg Evers at MPIK. In the future, the new method could be advanced for deployment in the routine operation of X-ray sources like synchrotrons or free-electron lasers. The increased intensity can shorten measurement times and enable measurements that currently have too low signal rates. Further, higher signal rates translate into better energy, temporal and spatial resolution. On the other hand, the technique opens the possibility to track motions on atomic scales.